The new models of the Ibanez Performance Series represent a strong focus on sound quality and performance at an excellent value. With over 50 years of experience to draw from, the new Performance Series models will raise the bar on what can be expected from an economical, entry-level instrument. 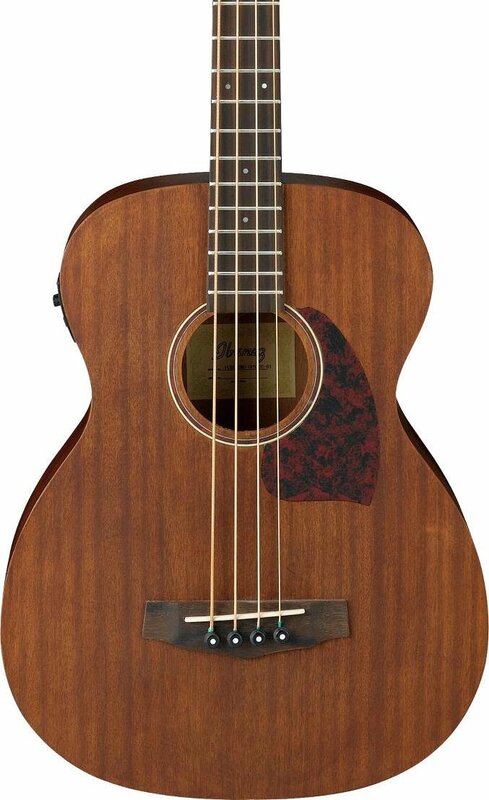 The PCBE12MHOPN is Grand Concert body style acoustic/electric bass with Sapele top, back and sides for a warm, full tone. While the Open Pore Natural finish enhances the instrument's natural beauty, it also contributes to the sound quality. Thick, heavy finishes can impede the vibration of a guitar's body, "choking" the instruments tone and projection. The lightly applied natural Open Pore finish optimizes sound vibration and allows the bass to realize it's full sound potential. The new Ibanez AEQ -202T preamp is specifically set to tailor the frequencies of a bass and allows operation of the built-in tuner without the instrument being plugged in. The PCBE12MHOPN also features a tortoise rosette, chrome die-cast tuners, Nandu Wood fretboard and bridge, with Ibanez Advantage bridge pins for improved tuning stability.